The three layers of your quilt will be loaded on the machine independent of one another. Please do not bin or baste them together. The batting and backing should measure at least 8 inches longer and 8 inches wider than your quilt top. For example, if your quilt measures 60"x80", the batting and backing should measure 68"x88". Press seams well. Be sure the top lies flat. Ripples and "puffy" places will not necessarily quilt flat. 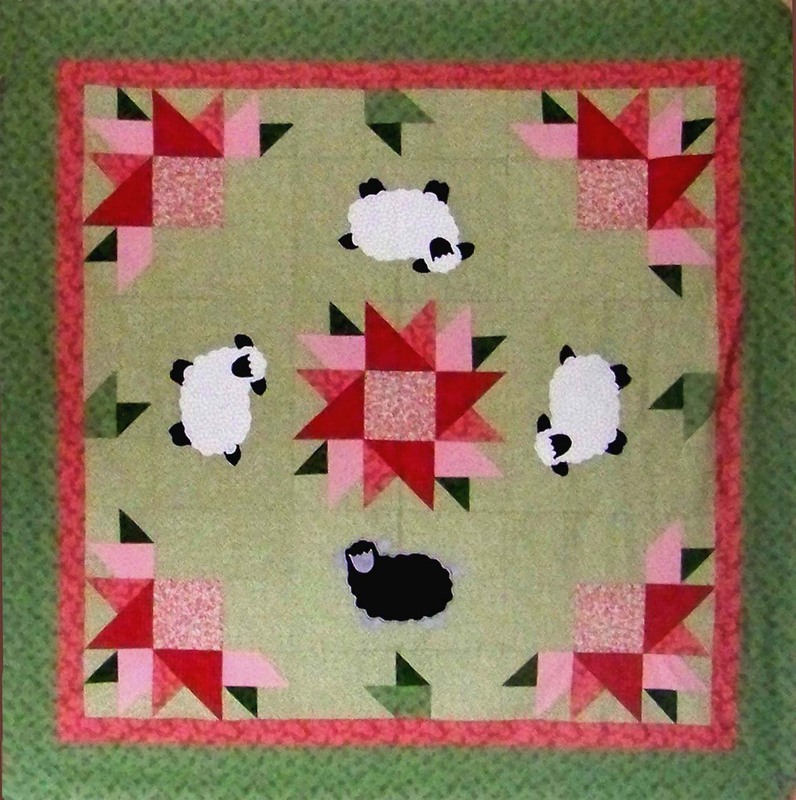 The quilt should be free of embellishments such as buttons and beads. Clip all loose threads and be sure seams have been pressed. Please mark the "head" of your quilt top and quilt backing with masking tape. Backstitch all outer seams to ensure that the stitching does not come loose with handling. Make sure that all seams are secure when sewing. Seams that are not sewn together securely can pop open with loading on the machine. These areas may be caught by the rapid motion of the needle and cause tears in your quilt top. Do you have a lot of pieces to your border? Sew a 1/8th inch seam around the edge of your quilt top to ensure that these seams don't pull apart. Square the quilt top and quilt backing. Square up each section of your quilt top before adding another border. Measure the quilt top from top to bottom through its vertical midpoint. (or an average of these measurements. Cut border strips that match this measurement exactly. Sew borders onto the sides of the quilt. Repeat the process for the top and bottom of the quilt. Voila! You now have a quilt with borders that fit, and are the correct measurement for the quilt top. Bedsheets are not suitable for backing because of their thread count. They cause skipped stitches, batting to poke through, and needle breaks. Cut selvages on seams before they are sewn. Selvage seams cause extra bulk and can cause backing to pucker. Press open all seams on the backing, and on any borders. Open seams on your backing and on borders ensures a flat final appearance to your quilt.